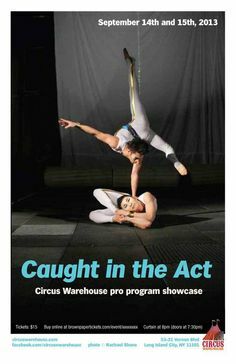 Brian Lugo and Annette Santiago — Team Circus — trained at Circus Warehouse with acrobatic champion and CW founding faculty member, Ken Berkeley. 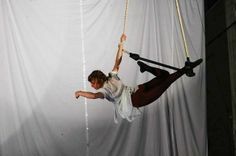 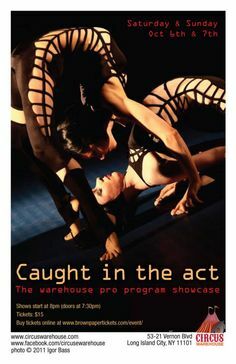 They perform as acrobatic balancers, duo- trapeze artists, stilt walkers, and more. 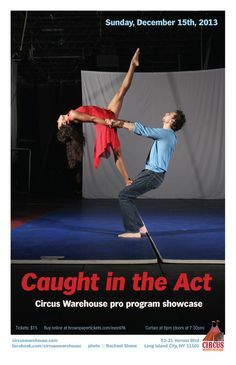 They have performed at the Apollo (winners on Amateur Night), at Lincoln Center, for Cirquetacular Entertainment, and alongside musical acts Moby, Pharrell Williams, DJ Rehab and many others.